Deisy has been doing bridal fittings and wedding dress alterations for a long time. Take your gown to a seamstress who specialises in bridal alterations. Your wedding day is a special day and your wedding dress can't let you down. Deisy’s will make sure your wedding dress is a perfect fit for you. Deisy's Alterations is one of Kent’s leading bridal tailoring and wedding dress alteration services, based in Hop Farm. Focusing on the fit, comfort and style of your wedding gown - something which can often be overlooked while bridal shopping. Fittings and alterations can be made on dresses that are plain, embellished, gathered or pleated, and also dresses that have numerous layers. Dresses can be new, preloved or vintage and can be in a multitude of fabrics. If you are unsure of whether alterations can be performed, you can arrange a consultation prior to any fittings at a time and location that is suitable to you - simply by getting in touch at the bottom of the page. As Deisy is based in The Kent Wedding Centre she is perfectly situated to alter your wedding dress from our bridal department. When entrusting a seamstress to carry out your bridal alterations, you want to be able to feel confident that you have chosen the right person to work on your dream dress. 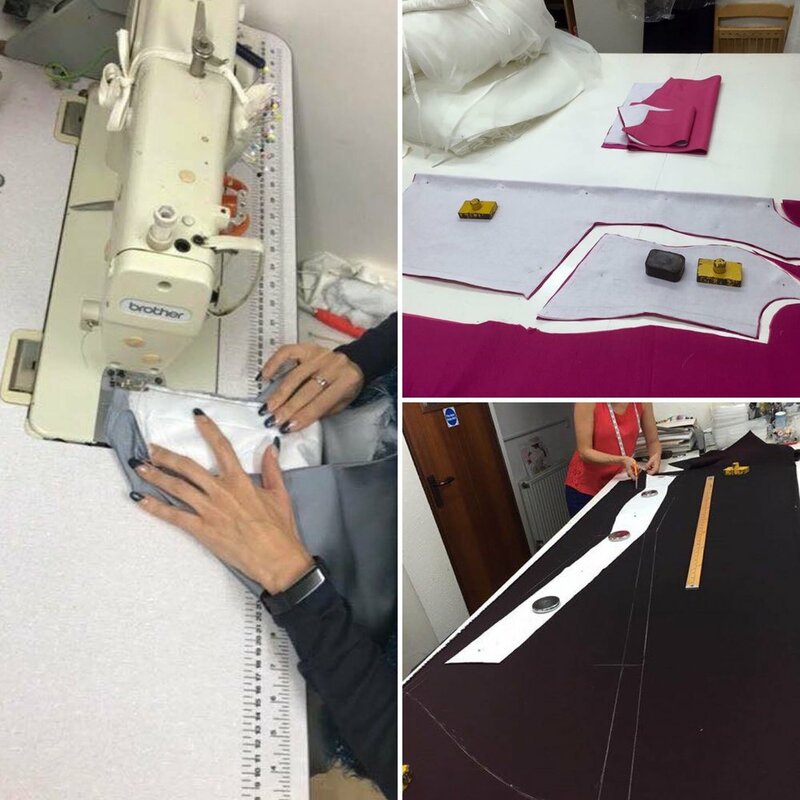 Deisy has alterted hundreds of happy bride's wedding dresses in Kent and will continue to provide a top quality level of service to her customers - be it a simple zip replacement or the taking in/out of your bridal. No job is unimportant. Deisy is also experienced in altering all kinds of clothing as well as mens tailoring, so if you choose your groom suit at The Kent Wedding Centre be sure to pop by and get it perfectly tailored! Bring your wedding dress to Deisy and let her complete your big day look, giving you style and comfort. Message Deisy directly below today to discuss your wedding dress alterations in Kent.